Bring a beautiful seating option to your home with the Danae Arm Chair. 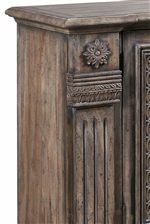 It features traditional styling for an elegant, lavish look and feel. The seat and back are upholstered in cream linen for comfort and neutral color tones, and nailhead trim along the edges adds a classy touch. 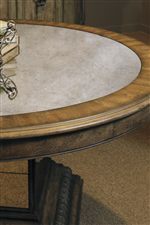 Shell decor on shaped apron further the chair's opulent design. 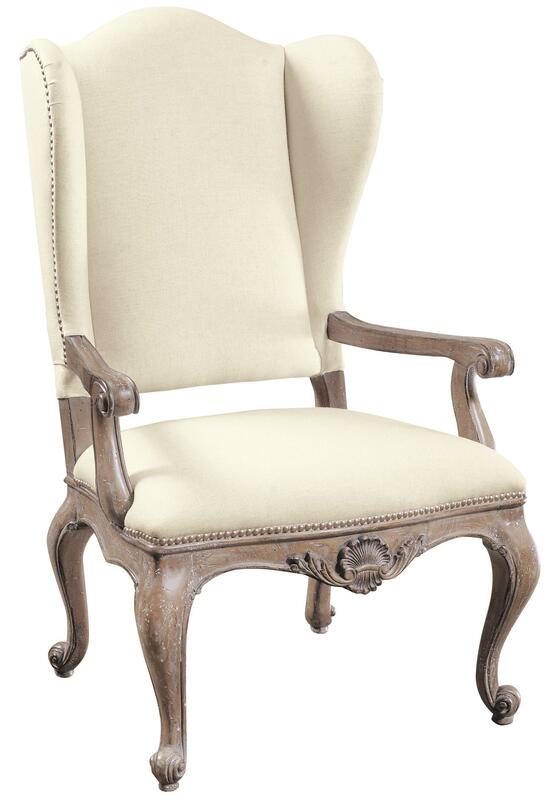 Lifted on cabriole legs with scroll feet, the Danae Arm Chair is a charming, luxurious piece for your dining space. The Accentrics Home Danae Arm Chair with Cream Linen Upholstery by Pulaski Furniture at Belpre Furniture in the Belpre and Parkersburg, Mid Ohio Valley area area. Product availability may vary. Contact us for the most current availability on this product.